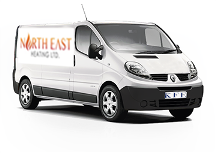 North East Heating Ltd provide fully gas safe registered (British Gas Trained) engineers with over 16 years experience in helping customers across the North East. Specialists in boiler replacements, repairs and servicing, fire and cooker installations and all plumbing work.Friendly efficient are quality driven service that can be tailored to meet your requirements. We provide a comprehensive range of gas and plumbing services. Don’t worry if you can’t find what you’re looking for, just give us a call for a free no obligation quote.